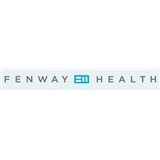 Fenway Health (Boston) - Book Appointment Online! She's Human! And caring and kind! Also very knowledgeable. I felt comfortable asking as many questions as I wanted. And she wasn't rushing like many doctors usually are. Dr. Dyke was professional and approachable. Great listener when it came to any concerns and very responsive. Though he was delayed, Dr. Vetters was an excellent doctor. He was very attentive, courteous, and personable throughout my appointment with him. Very highly recommended. Very thorough, kind and informative! Registration as a new patient was very easy and I was seen almost immediately. Dr. Elgart was kind, easy to talk to, and really personable. The whole experience was great! Very thorough, professional and friendly. Dr. O'Banion is INCREDIBLE. Seriously- I've been living in Boston for the last five years and have never felt so heard and supported by a primary care doctor. She's hysterical, compassionate, and extremely educated on many subjects, specifically women's health and all things wellness. I've recommended her to at least ten of my friends and cannot say enough great things!